NORTHBROOK, Ill., March 15, 2018 /PRNewswire/ -- Astellas Pharma Inc. incoming President and Chief Executive Officer Kenji Yasukawa today announced the appointment of Percival Barretto-Ko to president, Americas Operations, for Astellas US LLC, with responsibility for the company's operations in North and South America, effective March 15. Barretto-Ko previously served as senior vice president, International Operations. He will be located in Northbrook and report to Yasukawa. "Percival has played a critical role in building and growing our business across our Americas region," said Yasukawa. "I am confident his expertise will build upon our strong momentum focusing on patients with innovative science that supports unmet medical needs." "Astellas is an industry-leading organization because of not only what we do, but how we do it," said Barretto-Ko. "Our focus at Astellas will continue to be the patients we serve, and how we can continue to serve their unmet medical needs in the future. Our people are the driving force behind our work, and I am honored to have the opportunity to lead an organization dedicated to cultivating a culture of integrity, inclusion, and clear sense of purpose." Barretto-Ko joined Astellas in 2005 to lead Astellas Pharma Europe's corporate strategy organization. 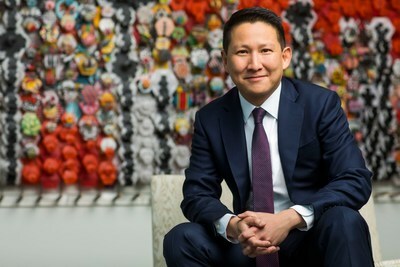 In 2011, Barretto-Ko was promoted to senior vice president, corporate strategy and government affairs for Astellas US, where he was responsible for business development, corporate strategy, corporate planning, alliance management, and government affairs. In 2015, he was appointed as senior vice president, International Operations, responsible for Astellas' operations outside of the United States. Before joining Astellas, Percival held increasingly senior commercial positions with the Roche Group in the United States and United Kingdom. Percival earned a Bachelor of Science in biological sciences from Cornell University, a Master of Business Administration from Yale School of Management and a Master of Science from MIT Sloan School of Management, where he served as a Sloan Fellow for Innovation and Global Leadership.